Entspannen & Genießen ... Nur 4 9 Meilen von Disney! Warum nicht entspannen und einen tatsächlichen Urlaub in unserem Dörfer von Mango Key Eigentumswohnung genießen. Diese 33-Einheit, die alle Stadthaus Wohnkomplex befindet sich nur 4. 9 Meilen westlich von Disney am ruhigen Ende von Kissimmee direkt an der Route 192. Mango Key ist eine gated Komplex mit einem großen beheizten Pool und einen Whirlpool. 41 Kanal-Kabel-TV mit 3 HBO & Showtime, Kaffeemaschine, kostenlose in-Einheit Waschmaschine und Trockner, In Einheit Wireless High Speed ​​Internet. We had a great time in Florida and the villa was perfect for our needs. My daughter loved finding the Tinker Bells in the garden! The location is great for Disney. It was no more than 20 minutes each day to Disney. The house is great!! Lots of room for a family of 4. You could have more than that easy. Having a washer and dryer right there is very nice. Everything was clean and nice and comfy. I would stay here again in a heartbeat. We might be planning our next trip soon. The master bath is a little tired but overall very good value for the price point. We would stay again. Excellent property! Clean, well maintained, comfortable and homie! 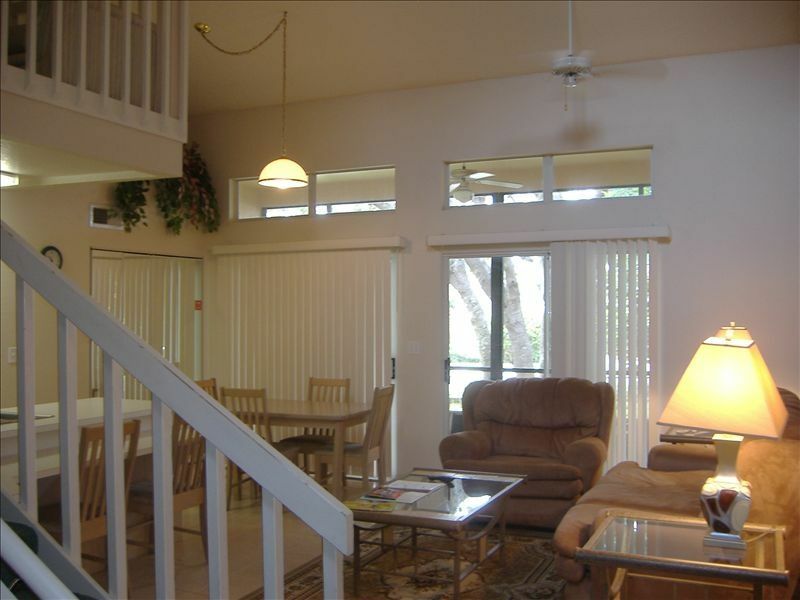 Close to Disney, very affordable! I will recommend this property to all my friends and anyone who would like a great vacation spot close to all the parks and fine restrurants in the Kissimmee Area! Great condo, in a quiet area. We (2 persons) spent almost 4 weeks in this apartment and we enjoyed it. Nice fully equipped kitchen and there was a gas stove, just like home (Dutch), and we went home every day. All known parks are within 30 minutes. Supermarket and shops are nearby and the US-192 is around the corner. The contact with the owner was very good, there were some little things and they were fixed very quickly (within 24 hours). In short, if we go to WDW or one of the other parks then I will definitely contact Norman again, that's how we liked it.